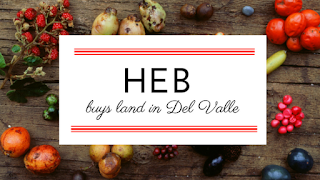 HEB has bought 17 acres in Del Valle near the Austin Bergstrom International Airport, the Austin American Statesman reports. Located at the southeast corner of FM 973 and Texas 71, the area is what many refer to as a “food desert” because of the lack of grocery stores and general retail nearby. Del Valle is projected to grow by 55,916 new homes in the coming years. Many developers have said that the lack of a grocery stores is what has hindered growth in the area. HEB does not currently have a plan for the site, but said with Del Valle’s projected growth, it makes sense to have a foothold in the area. HEB currently has no timeline for when the site might be developed and HEB’s closest stores are six miles away on East Riverside Drive and on East Seventh Street. Delia Garza, the Austin City Council member whose district includes Del Valle, says she has been trying to get a grocery store there for years and is excited about the HEB purchase. However, she cautions her constituents not to think that just because HEB purchased the land, a grocery store is coming soon. HEB owns lots of land with no grocery stores, but she will continue to advocate for the grocery chain to bring a store to the land at FM 973 and Texas 71. Another elected official whose precinct includes Del Valle, Travis County commissioner Margaret Gomez, is also looking forward to the idea of an HEB store being opened in the area and says the people she serves are going to be very happy as well. Looking for an apartment in Southeast Austin? Austin Apartment Specialists South Austin can help! Give us a call today at 512-912-8000 to find the perfect new home for you and your family! 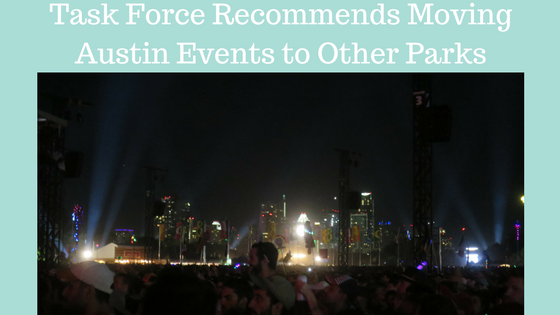 The Parklands Events Task Force has put forth recommendations to move some major events that currently occur in Zilker Park and Auditorium Shores near downtown to other less utilized parks in other parts of the city, the Austin Monitor reports. The report wants the city to start utilizing parks like Walter E. Long Metropolitan Park and Onion Creek Memorial Park for events such as KGSR’s Blues on the Green, the Zilker Relays, the Urban Music Festival, the Austin Food & Wine Festival, Austin Pride, the Cap Tex Tri Triathlon and the Tri Rock Triathlon. The report will be presented today to City Council’s Open Space, Environment and Sustainability Committee, who will then parcel out its recommendations to the corresponding departments. Most of the report is about lessening the effect of events on surrounding neighborhoods. The report wants to decrease or reroute car and pedicabs, look more closely at the impact of sound bleed on the area around the events, and make the setup and tear-down process for stages and event infrastructure quicker and smoother. They also want to increase environmentally friendly practices during events and study fee increases to fund the impact events have on parks. The chairs of the committee said that they will involve the neighbors around the four Austin parks in what improvements are necessary to the parks to have events, in what events are put there, and in how the events are implemented. In addition to Walter E. Long and Onion Creek Metropolitan Park, the other parks are Bolm Road District Park and Johnny Trevino Jr. Metropolitan Park. Most of the new sites are on the edges of town. Want to get ahead of the curve and move near one of the parks that will be the new site of city events? Give Austin Apartment Specialists a call today at 512-241-1111 and we’ll help you find the perfect apartment anywhere in Austin! Austin City Council has approved a bid to buy 10 properties the Austin Independent School District is selling, the Austin Monitor reports. The city’s bid is not to exceed $2.8 million and the goal is to build affordable housing on the parcels. While private developers may put in bids that exceed the city’s, the hope is that AISD leaders may still choose the city’s bid because of both the city and AISD’S goal of providing more affordable housing. The affordable housing could help many families in the district and Austin’s 6,000 teachers, who often have trouble finding housing that fits their budget near the schools where they are employed. Some council members are worried that the city will not have the money to purchase the land if they do win the bid. City staffers said that the land could be bought with general obligation bonds or money from the Housing Trust Fund. While the staffers said that they source of the money could be found if the city is the winning bidder, council member Sheri Gallo expressed concern that the agencies that might be asked to provide money were made aware of that. The specific terms of Austin’s bid were made in closed door sessions and were not available to the public. 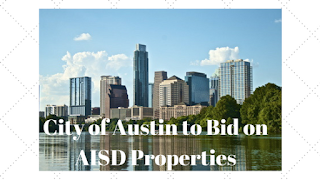 Buying the AISD property is part of Austin’s continuing goal of turning public lands into affordable housing for residents with low or modern incomes. In October, the city council authorized a resolution that told staff to find land that the city owned that could be turned into affordable housing. Staff was also told last month to work with AISD and Travis County to come up with a process for finding public lands between each entity’s real estate portfolio could be used for agreements that would have the city, county, and school district collaborate on housing, transportation, or space for artists. Are you looking for an apartment that will fit your budget? Give Austin Apartment Specialists South Austin a call at 512-912-8000 for help finding your dream home today! 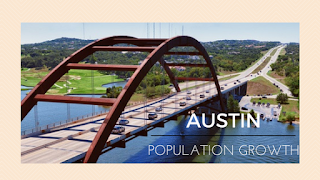 Austin’s population growth is still 2nd highest in the country, the Austin Business Journal reports, but the suburbs are where most people are moving. According to the U.S. Census Bureau’s American Community Survey data series, Austin’s metro area grew by a little more than 16 percent from 2010 to 2015, from 1.6 million to 1.9 million. The metro area is Travis, Williamson, Hays, Bastrop, and Caldwell counties. The Austin metro area was only bested by Charlotte, North Carolina, which grew 38 percent during that time. Most people in the region were added in the city limits, which saw its population go up by 122,930 people to 887,060. Austin was only bested by New Orleans, whose population grew by 27.6 percent. The new data by the Census Bureau tracks Austin’s population growth at a micro level too, and it’s possible to see which neighborhoods, and even which streets, saw the highest growth. Parts of downtown, Central Austin in the lower Shoal Creek area and along North Lamar saw the most population growth. The area around Anderson Lane, in the Crestview neighborhood, has also seen an increase. The Central Business District and the Texas Capitol Building areas have seen their population decrease over the last five years. However, the suburbs are where the real growth in the Austin metro is happening. Buda is still growing the fastest of any city around Austin. From 2010 to 2015, Buda added 4,163 residents, a 64.1 percent increase. The population is now 10,655. Hutto was just a few spots behind Buda with a growth of 62.9 percent, and Leander grew 37.6 percent, followed by Cedar Park with a growth of 35.5 percent. All three cities are in Williamson County. Austin Business Journal has the breakdown of how every city surrounding Austin grew over the five year period. If you’re looking to add to the population growth in Austin or beyond, Austin Apartment Specialists can help! Give us a call today at 512-241-1111 to find your dream apartment! Target is going to bring a new kind of store to the edge of the University of Texas campus, the Austin Business Journal reports. Located in Dobie Twenty21, which is a mixed-use building with student apartments and retail at the corner of 21st and Guadalupe, the store will comprise 22,000 square feet and will cater to students with special offerings like ready made foods, products for dorm rooms, and Longhorn clothing and accessories. Target has 31 of these stores, called flexible-format, across the country and is planning to build 26 more in the next three years. A regular Target is 80,000 to 160,000 square feet. Target will be a welcome addition for students in the area, especially those who live on campus or just off-campus and don’t have a car. 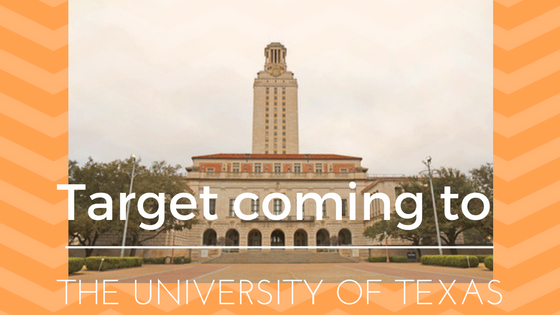 There are a lot of apartment options for UT students who want to live near campus to concentrate on their studies. Uptown at University Park is located just north of campus and has studio, one and two bedroom apartments featuring ten foot ceilings, washers and dryers, modern kitchens, wood style flooring, trash chutes and valet waste. The community has downtown and Hill Country views, elevators, a multi-level parking garage with remote access, rooftop deck, and onsite retail. River Oaks Apartments are also located just north of UT and feature cool midcentury design, are pet friendly, have spacious open floorplans, large closets, washer/dryer connections, and multiple flooring options. Red Oaks Apartments is a small community in west campus that features 38 one bedroom apartments with faux wood floors, free parking, paid gas and trash, on-site laundry facilities and a courtyard. Penthouse Apartments are also in West Campus, just minutes from UT and downtown, and have on-site laundry facilities, retro ceramic and brick walls, multiple flooring options, have on-site recycling and are pet friendly. 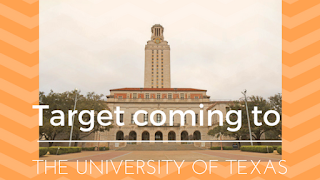 Ready to make your home near the UT campus? Give Austin Apartment Specialists a call today at 512-241-1111 to find the perfect apartment that fits your lifestyle!